Fuel costs? What about using drones? 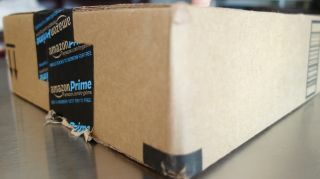 Subscribers of Amazon Prime are likely to see a price increase as the two-day free shipping service is costing the retailer more, Amazon admitted in its fourth quarter earnings call today. This would be the first price increase in the nine years since the Amazon Prime membership made its debut in 2005, and the markup is so far limited to US customers. Amazon didn't announce when it would start charging customers more, but it did suggest that the increase could be $20 (about £12, AU$23) to $40 (about £24, AU$46). With the Amazon Prime price in the US standing at $79 (about £47, AU$90) right now, it could end up costing anywhere between $99 (about £60, AU$113) to $119 (about £72, AU$136) annually. Why is the Amazon Prime price going up? Amazon wasn't ready to reveal a timeline regarding its Prime price increase, but it did divulge why it's likely to happen. Shipping and fuel cost have risen at the same time it's started sending more packages to members via its speedy delivery service. It currently has over 19 million Prime eligible items available, and that's adding up. Amazon wouldn't speculate about separating these shipping perks from its other Prime offerings, namely Prime Instant Video and Kindle Owners' Lending Library, simply saying that "we like the service that we have." Whether or not customers decide to renew Amazon Prime at a higher cost may come down to if the service has let them down in the past or intrigued them for the future. If you haven't read our Kindle Fire HDX review, you're missing out.